Just when you think the company has said the dumbest thing ever, it keeps talking. NEW YORK (TheStreet) -- There's a saying, "If it wasn't for bad luck, I'd have no luck at all." This seems to be the prevailing theme for each earnings announcement that requires I first hold my breath before listening to the train wreak that has become Research in Motion ( RIMM. To describe the nature of the company as an embarrassment would be disrespectful to those of us who suffer real embarrassing moments from time to time for things that are often outside our control. In the case of RIM, it is remarkable how the company continues to shoot itself in the foot, then firmly plants that foot in its mouth. There is no denying that in the battle for smartphone supremacy against the behemoths of Apple ( AAPL - Get Report) and Google ( GOOG - Get Report) RIM is dead. In fact, the only debate now is whether or not its death was a homicide or a suicide. Who cares? Bottom line is, we now have a dead brand, and a hole needs to be dug. There was a point when I was ready to give the company the benefit of the doubt. But now I just don't see how it can continue to play with investor emotions and get away with it. What is clear is the company has ceased to make any sort of capital investment in itself to help it compete against its rivals in any meaningful way. Instead, it continues to not only execute poorly but keeps up a recent pattern of saying the wrong things at the wrong times. For example, on Thursday the company said the successful launch of the BlackBerry 10 platform and the delivery of high-quality, full-featured BlackBerry 10 smartphones remain the company's number one priority. Then, in the same breath, it said the BlackBerry 10 smartphones won't be available until the first quarter of next year. Over the past several weeks, Research In Motion's software development teams have made major progress in the development of key features for the BlackBerry 10 platform; however, the integration of these features and the associated large volume of code into the platform has proven to be more time consuming than anticipated. Excuse me? Let me get this straight: This project has been your so-called "number 1 priority" but it has been mismanaged to the extent that not only will it miss the all-important holiday shopping season, but its delay will only increase the level of difficulty for RIM to regain any market share not just from Apple and Google, but now from even Microsoft ( MSFT - Get Report) and Nokia ( NOK - Get Report)? I'm not quite sure if RIM has fully embraced the severity of its current situation. If it has, it certainly has not acted accordingly. Even worse, it needs to stop sending mixed messages. For the quarter RIM reported revenue of $2.8 billion, almost 10% below analyst estimates of $3.1 billion. The $2.8 figure represents a sequential drop of 33% and a decline of 43% from the same period of a year ago. While the company did ship almost eight million BlackBerry units, it is down 40% from the 13.2 million it shipped last year. Its PlayBook tablets are not exactly flying off the shelves either. For the quarter RIM only shipped out 260,000 units, a decline of almost 50% from the 500,000 sold last year during the same period. It is remarkable when one considers that Apple sells over one million iPads per week while it expects to sell approximately 30 million iPhones for quarter. From the standpoint of earnings per share, RIM logged a loss of $518 million representing 99 cents per share on a GAAP basis. In the same period of a year ago, it reported a net loss of $192 million. As far as the real numbers go, investors need only know this: It seems every quarter Apple is reporting profits in the area of $10 billion while RIM has reported a loss of over half a billion dollars. The story is clear and it does not appear that things are expected to get any better because RIM also expects an operating loss in the second quarter of fiscal 2013. The only question is, when will someone come in and put RIM out of its misery? Its challenge was to find new markets while preserving the monopoly it once had in the enterprise space. It simply could not do that. I think it still has value to a company such as Facebook ( FB - Get Report), which has been rumored to be considering developing a phone of its own. However, the more I think about it, the more it makes sense for Microsoft to come in and close the deal. With a RIM acquisition, Microsoft should consider investing another few hundreds of dollars per user towards RIM's larger subscriber base and offer replacement phones based on the Windows Mobile operating system. 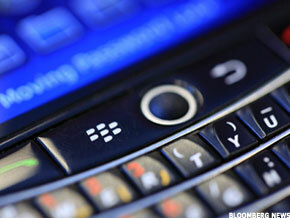 It can then retain the BlackBerry email service as well as the popular BBM messenger service. This has the potential to quadruple its Windows smartphone user base and instantly make it a power among the ranks of Apple and Google. As disappointing as the earnings results were for RIM, the bigger disappointment was the delay of the BlackBerry 10 smartphones. This showed just how sad the company has become where even its "top priority" can't leave the productions line. It might be a blessing in disguise -- who knows? The company did say it plans to reduce its jobs by 5,000 people, or 30% of its workforce, as a way to trim $1 billion in annual costs. It remains to be seen what results from this. However, with the stock now trading at $7 and with no meaningful sign of support, the next target has to be $5, which I discussed only a couple of weeks ago. I still see an acquisition happening before it reaches that level. I just hope that the company does not open its mouth and screw it up. At the time of publication, the author was long AAPL and held no positions in any of the stocks mentioned, although positions may change at any time.